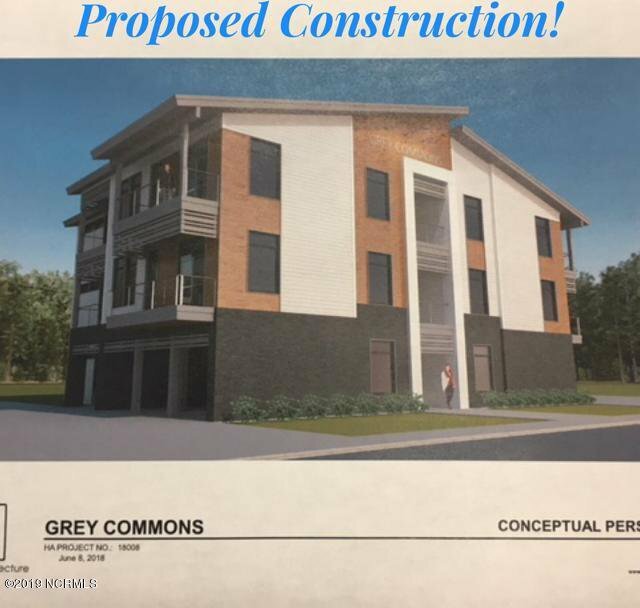 Photo is proposed construction of GREY COMMONS -which is a unique opportunity to build on this lot. Package includes lot, plans and Right to Use. Plans and permitting are ready. This project consist of 9 condos and 1 ground level office space with bath. Five 1 bed/1 bath (one of these will be on the ground level with office) and four 2 bed/2 bath. Water and sewer has been approved. Landscape design has been submitted for approval. Send signed CA for additional information-attached in documents. Listing agent can provide rent rolls on Urban Lofts for comparison. Listing courtesy of Coldwell Banker Sea Coast Advantage-Midtown. New Real Estate Listings Every Day!